I really liked using the Tidy Cats lightweight litter. It was a lot easier to carry from the store and get home and pour into the litter box. The scent is very nice and doesn't seem to bother the cats. It does work effectively at controlling odors and clumps tight for easy scooping. 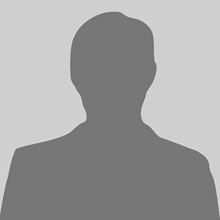 I already liked the Tidy Cats brand and was happy to try out the lightweight formula. This Light weight Tidy cats brand worked so well on blocking the odor. I walked in my house from being outside of fresh air and I don't smell any odor from the litter box, that's excellent. I have a adult cat, and no matter the litter box always smells. I was pleasantly surprised with the way this preformed. It doesn't weight a ton, great odor control, and tight clumps which helps with clean up. I highly recommend this to all cat lovers. I was pretty sad that I didn't like this litter all that much. I love the lightweight part of it, but it is extremely dusty. Made me cough when pouring the lottery my cats too. 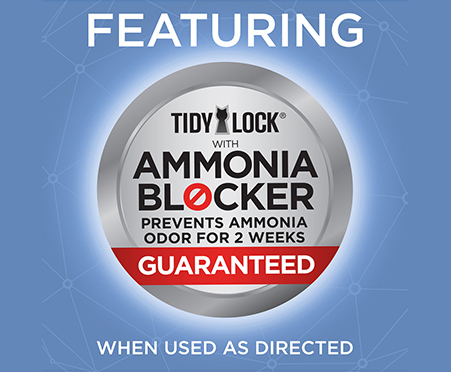 It's great at blocking the ammonia smell from the urine. The only drawback is if my cat steps in the wet litter, it sticks to her feet. I was quite impressed with this tidy cat lightweight litter. It controlled the odor exceptionally well. I have several cats so our litter boxes can get stinky fast. Tidy Cats brand is awesome and we especially love Tidy Cats Lightweight so the jug is easier to lift and control when pouring. Helped get rid of bad odor and smelled fresh much longer than other brands. Our litter box is in the downstairs bathroom just when you come in beside the garage. I'm always on the lookout for something that doesn't make the house smell like we have tons of cats. This Tidy cats does the trick for us. What litter box!? I redeemed my coupon for Tidy Cats Lighweight cat litter. It worked well for controling odor and making it easy to scoop the litter. Highly recommend. 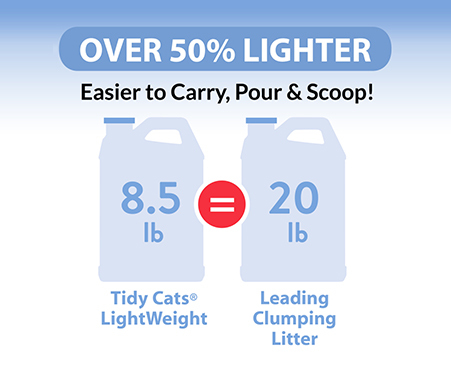 I received a coupon to redeem at a store for a free jug of Tidy Cats Lightweight Litter. This litter was extremely easy to get home compared to the heavier litter types. It is also easier to pour and did a good job of containing odors. Overall I'm a fan. Tidy Cats Lightweight Liter is a real game changer. Wonderful smell and does the job for 3 cats. I loved that it's light weight and it keeps my home fresh all week. Work's really great. Doesn't leave a bad odor. Makes clumps that are easy to pick up. I received a coupon from PinchMe for the Tidy Cats Lightweight litter and I couldn't be happier. The litter clumps very tightly which makes scooping and cleanup a breeze. I love that it keeps the odors under control, which is very important to me since I have two cats. One of the best features is how incredibly lightweight it is. I no longer have to ask my husband to carry the jug of litter to the different floors in our home. 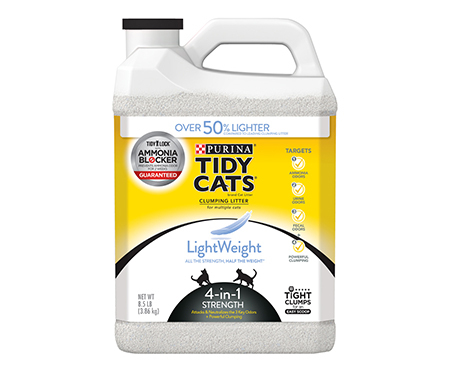 Tidy Cats Lightweight is my new go to litter for my furbabies. Tidy cats lightweight litter is the best out there. Love how light it is compared to other brands and it sends to not be as smelly after the cats use the litter. Would definitely recommend. I received Tidy Cats Lightweight 4 in 1 Strength in exchange for my honest opinion. This cat litter is a game changer from in store to at home. It's lightweight meaning it's no longer a hassle to get in my cart at the store, bring inside from my car, or refill my cats litter box. The litter itself has a pleasant smell and is dust free. I don't have to worry about unpleasant smells from urine, feces, or ammonia. With clumping control cleanup is a breeze. 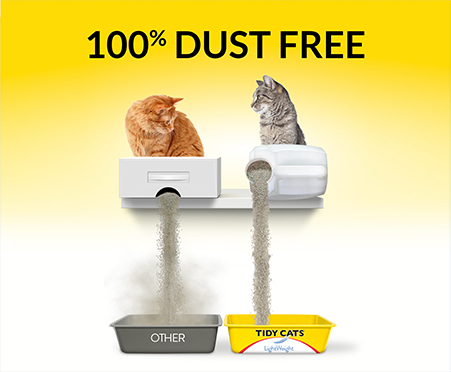 Tidy Cat is the best brand by far for cat litter and they just keep improving. Tidy Cats Lightweight keep down the order and was very easy to handle. Thanks for the free sample pinch me. I got this for my cat and she liked using it. It didn't leave any ammonia smell when it was wet. Scooped good and did a good job of absorbing her waste.